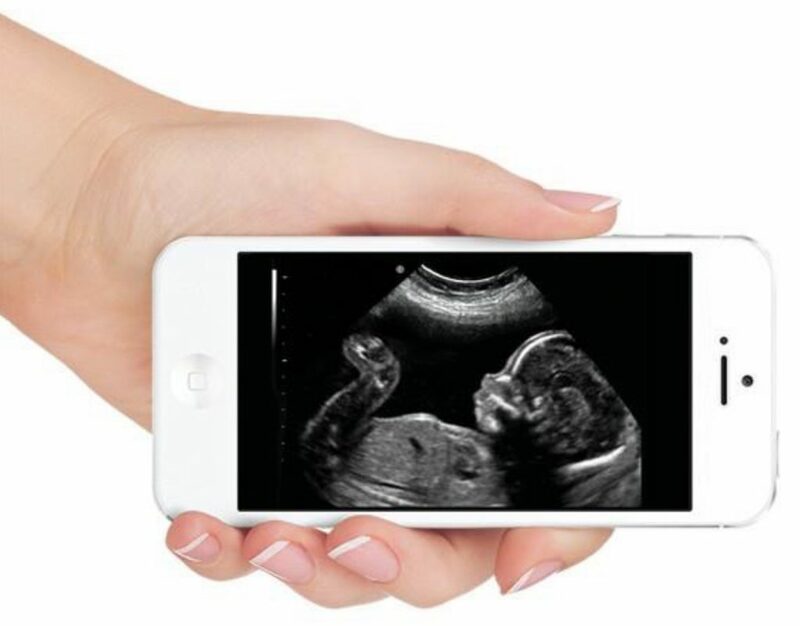 I want my ultrasound images delivered digitally as an email or text. I authorize the sending of images during my pregnancy. I have read, understand, and agree to this disclaimer. I will have access to my images for 90 days from my exam date. It is highly recommended that you download and store your images on your computer or other device since they will be removed from the server at the end of 90 days. Tricefy™ is a communication service licensed to Your Provider. This Disclaimer and Authorization Agreement sets forth the terms and conditions under which you, the undersigned patient authorize Your Provider to transmit your ultrasound examination through Trice Imaging, Inc. to a mobile phone number and email address of your choice. This Agreement will become effective on the date of your signature and will terminate after all images throughout your current pregnancy are sent to you. After you complete and sign this Agreement, a mobile telephone number or email address you designate will be entered into our ultrasound system and re-verified with you. When your ultrasound screening is complete, in accordance with the Your Provider policies and procedures, the sonographer will trigger the ultrasound machine to send an encrypted copy of your examination to the Tricefy™ server. The server will reformat and encrypt the file and provide access to the examination through your mobile phone number and a text or email. The Physician will have the discretion to determine whether your ultrasound screening is complete and whether to transmit your images to Tricefy™. The Physician has the right to refuse to transmit or to delay the transmission of your images. Both the text and email message will contain secure links and instructions on how to access the images. Images and videos can be accessed and downloaded to your mobile phone and computer. You agree to pay all costs for the services if applicable. Transmission of the images through Trice Imaging, Inc. is not a medical service. The transmitted images are not considered diagnostic medical images and are not a part of your medical record; they are not to be used for your health care, diagnosis or treatment. If you want to see your medical records, you need to contact Your Provider, who is responsible for maintaining your medical records. Neither Your Provider nor Trice Imaging, Inc. is responsible for the security of the transmitted images once the text and email recipients you have designated download the images. By directing Your Provider to transmit the images to an email address and telephone number that you specify, you authorize Your Provider and Trice Imaging, Inc. to provide the images to the person who owns or uses the email address and telephone number and any persons who may have access to the telephone number and email address. We would recommend immediate download of any images, as the link to the images will only be active for a maximum of 90 days. Any transmission of additional images will be considered new services, the cost for which the patient is obligated to pay, if applicable. Trice Imaging, Inc. will not store the images on its server for you. As a licensee of Tricefy™ through Trice Imaging, Inc., Your Provider is permitted to offer the services under the terms and conditions of the license. This is the sole agreement between Trice Imaging, Inc. and Your Provider.